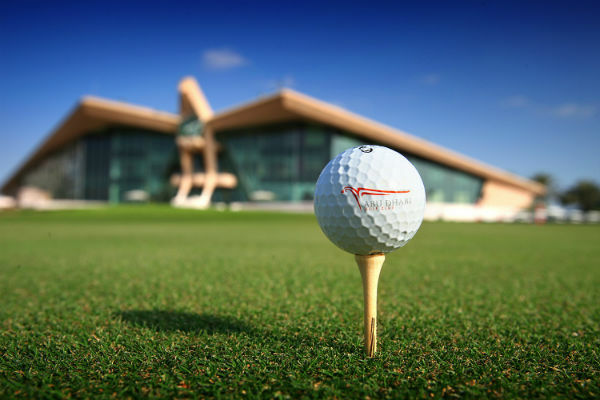 The Abu Dhabi Golf Club is home to one of the finest courses in the Middle East and has played host to the European Tour’s Abu Dhabi Championship since 2006 with previous winners including the likes of Rickie Fowler, Martin Kaymer and Paul Casey. 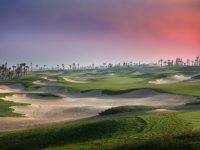 In this blog we take a closer look at The Abu Dhabi Golf Club as well as the Westin Abu Dhabi Resort where you will find the 5* luxury hotel. 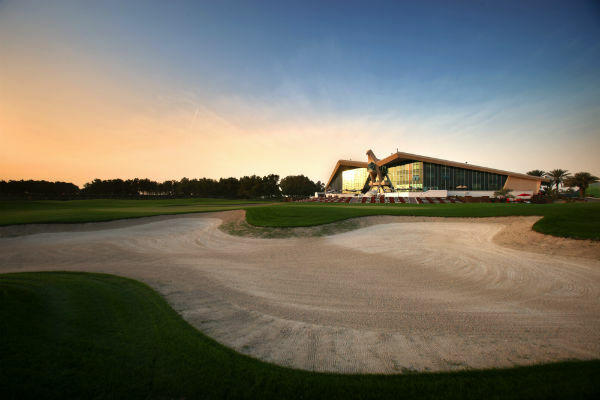 As mentioned, since 2006, Abu Dhabi Golf Club has played host to The Abu Dhabi Championship, one of The European Tour’s most popular events. 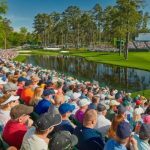 The Championship forms part of the middle east swing, with the other two events being The Commercial Bank Qatar Masters and The Omega Dubai Desert Classic. 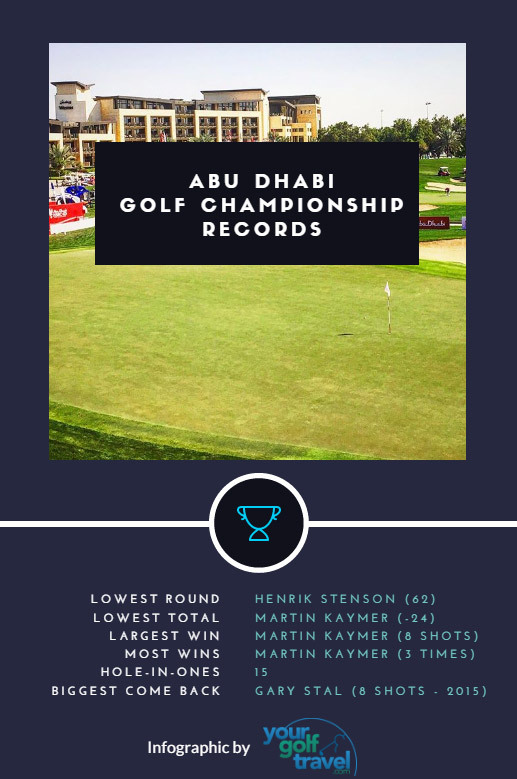 The 2016 Abu Dhabi Championship saw one of the closest finishes in a long time with Rickie Fowler, Thomas Pieters, Henrik Stenson and Rory McIlroy all in contention. Rickie came out on top, with an impressive score of 16 under, just one shot ahead of Pieters. He was also dressed in his trade mark all orange outfit, which he wears on tournament Sundays, not quite Tiger red, but getting close. 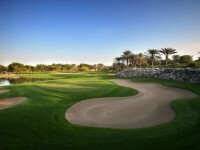 The 27 holes at Abu Dhabi Golf Club are amongst the finest in all of the gulf. The 18 hole championship course measures at 7344 yards from the back tees and offers a challenging test of golf for even the best golfers. 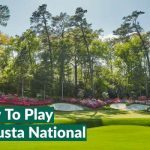 There are also generous large greens, giving you the best chance of hitting the green with your approach. 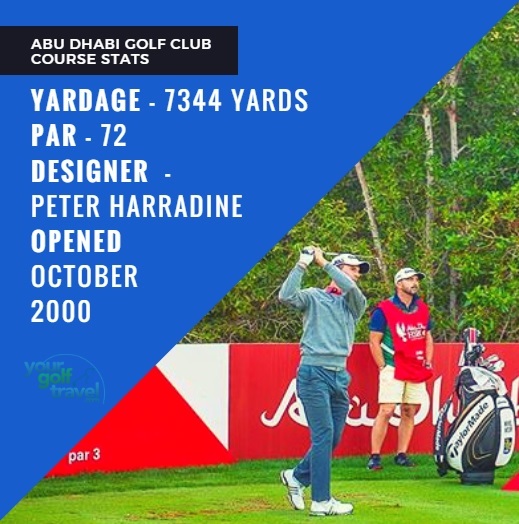 The course at Abu Dhabi GC was designed by renowned course architect Peter Harradine who has an impressive portfolio of golf courses all over the world including Doha Golf Club, home of the Commercial Bank Masters and Golf Club Bad Ragaz, home of the Credit Suisse PGA Seniors Open. 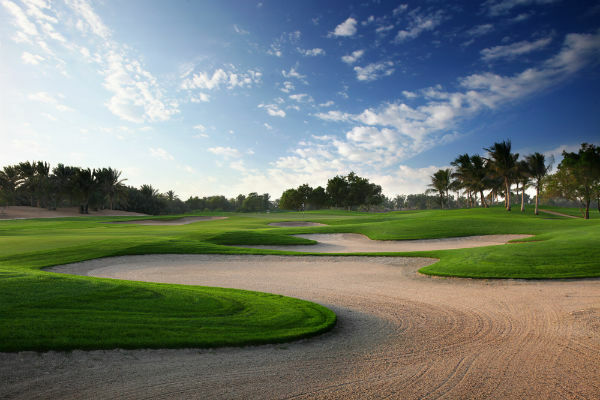 At Abu Dhabi GC, Harradine has designed a stunning championship golf course with fairways like carpet, super slick greens and beautiful plants and shrubs. 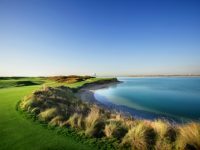 As mentioed, there are also plenty of bunkers and seven strategically placed lakes making the experience of playing Abu Dhabi GC a stern test of golf for any golfer. If you are looking for a more relaxed golfing experience, then definitely play a round on the 9 hole course. It is ideal for beginners and those wanting to improve their game. 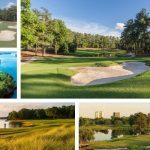 Even though it’s only 9 holes, the course is still treated with the same amount of care as the 18 hole championship course. I’ve started here every year since I’ve been on Tour since 2007. I’ve been very successful. This is always a place where I like to come. There’s more competition, but it’s in general, I really enjoy coming here overall; the people, the golf course, the food, the hotel, everything feels really comfortable to me. It’s a golf course that’s always sort of suited my eye. I’ve always done well here. I had a couple of chances to win, and Martin Kaymer was just too good those times. It’s a long golf course and you’ve got to hit it well off the tee and take advantage of the par fives, which I feel like I can do. At Abu Dhabi GC, you can play one of the finest courses in the gulf under the lights. Forget night clubbing, night golf is way better. Our very own YGT Rory was in Abu Dhabi earlier this year along with other YGT staff. Let’s see how they got on experiencing night golf at Abu Dhabi Golf Club, while playing an intense three-hole challenge; who will come out on top?? 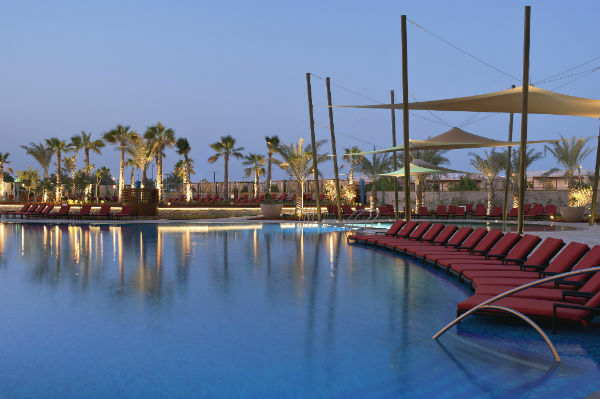 The Westin Abu Dhabi Golf Resort is one of the finest resorts in all of the gulf, with the 27 holes of championship golf right on the doorstep. The hotel offers the finest accommodation, along with fantastic bars, restaurants and leisure facilities. The accommodation available at Westin is off the scale, with a wide selection of rooms available, including deluxe superior rooms, family rooms and of course the presidential suite., if you really want to indulge. All rooms & suites offer modern amenities and services including complimentary wifi, 42” LCD TV, 24 hour room service and a on demand media hub. A recommendation would be to select a room with a private balcony, so you can enjoy stunning views overlooking the championship golf course. 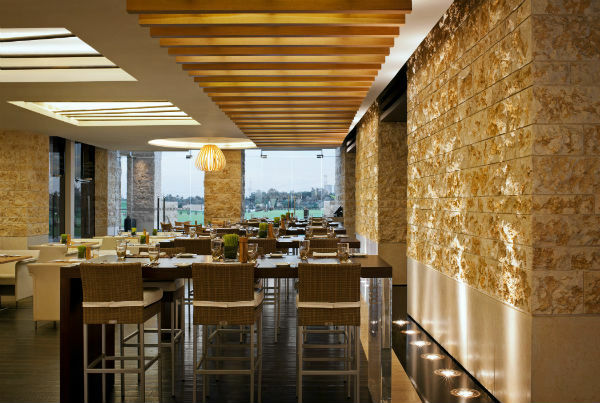 You are spoilt for choice with the fantastic selection of bars and restaurants throughout The Westin Hotel. There are 6 restaurants to choose from including the outstanding Agadair restaurant where you can taste delicious flavours of Morocco. After hitting the fairways, why not relax & unwind in the heavenly spa with a huge selection of treatments and massages to choose from from the signature rollersage massage to a hot stone massage. If you are enjoying Abu Dhabi with a friend or partner, why not choose a a couple massage and share the tranquil relaxation together. The Golf Institute by Troon Golf offers a first class tuition experience with the latest swing technology along with outstanding practise facilities. There is a wide range of golf packages available from a 45-minute individual lesson to corporate team building activities. 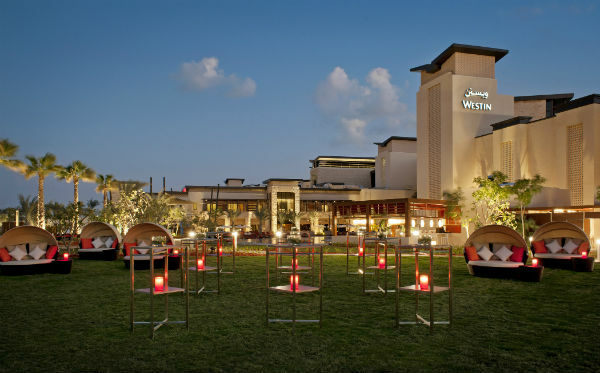 The Westin Abu Dhabi Resort is in a fantastic location, just 15 minutes from Abu Dhabi International Airport. You can hop off the plane and be on the first tee in no time. The fee for a taxi can will range between 35 to 50 AED and is available 24 hours a day.